This week on Who We Become we are exploring broken patterns. 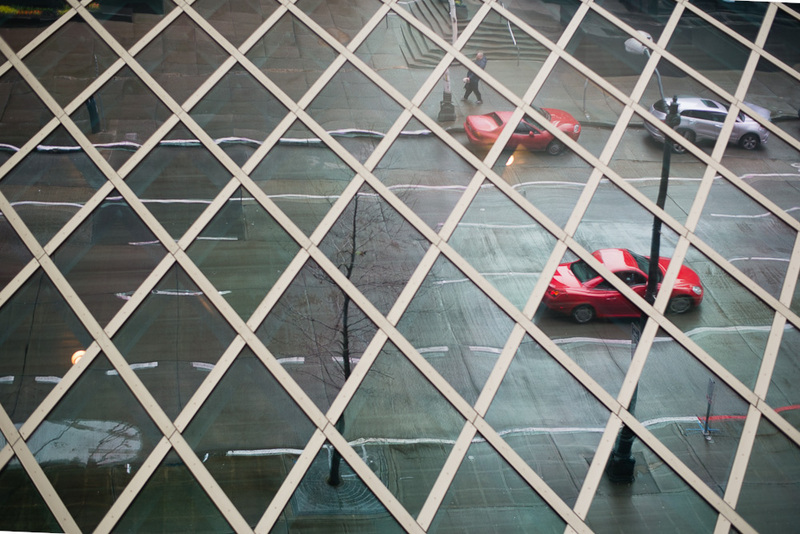 I am not sure if the pattern here is broken or I am kidding myself, but I really loved photographing through the surface of the central library and seeing all the street scenes in the reflections. Please click HERE to visit all the broken patterns over at Who We Become.